ca 350 - 325 B.C. A Naiad-nymph rides on the back of a River-God. 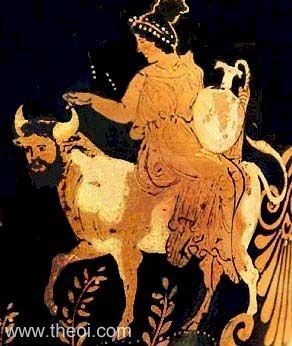 The nymph wears a wreath of flowers and holds a water-jug (hydria) in her hand. The Potamos is depicted with the body and horns of a bull and the head of man.